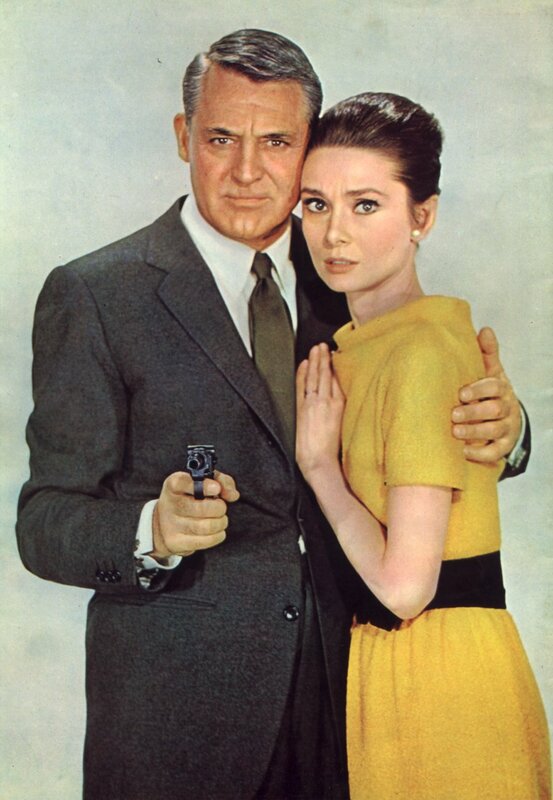 "Charade," starring Carry Grant and Audrey Hepburn and with music composed and conducted by Henry Mancini, should be as potent a box-office draw as has come along in a good spell, and the resultant sound track album and single (with chorale backing) should do equally well, just cashing in on the film's popularity. This is not giving the music - which is excellent - its proper due. The score is imaginative, fresh, hauntingly melodic, and does much to build the mood of the flick. Main emphasis, however, is bound to be on the strange combination of chilling mystery and comic suspense that "Charade" manages to convey. The film contains four murders - all dramatically illustrated with proper amounts of blood and grimaces of the corpses. But in between, it's filled with laughs (if this anomaly is conceivable). So tastefully is everything blended together, that one gets to the end of the picture scared stiff, but chuckling out of the corner of his mouth. Carry Grant is his usually charming self, Miss Hepburn the coy coquette, the set is European and the plot involved with spies, counterspies, Secret Service, OSS and a liberal sprinkling of French gendarmes. It's a delightful - if unnerving - two hours, done in glorious color, and the end result is a solid plus for the motion picture, recording and other lively arts.